CGU Insurance is teaming up with Nova to back all the ambitious Aussies who aren’t doing what they want to do. Whether it’s starting a small business or turning your favourite hobby into a side hustle– don’t let the fear of failure stop you from chasing your goals. 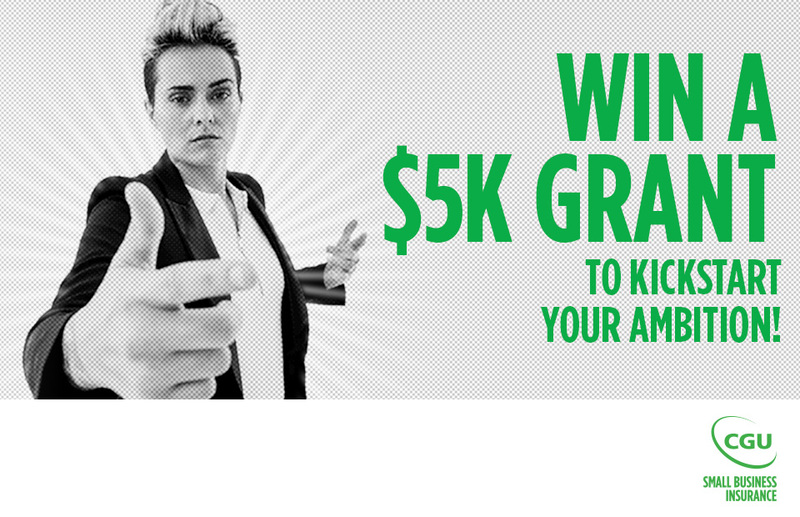 Share your ambition below for the chance to win 1 of 5 CGU $5,000 grants to help make those dreams a reality. Be BOLD, because Aussies have ambitions and CGU Insurance will back yours. In 25 words or less the question: “What’s your ambition? The Promoter will select up to five (5) entries deemed to be the ‘best’ (based on the Judging Criteria, in the Promoter’s sole and absolute discretion) and will award each of those entrants a prize.